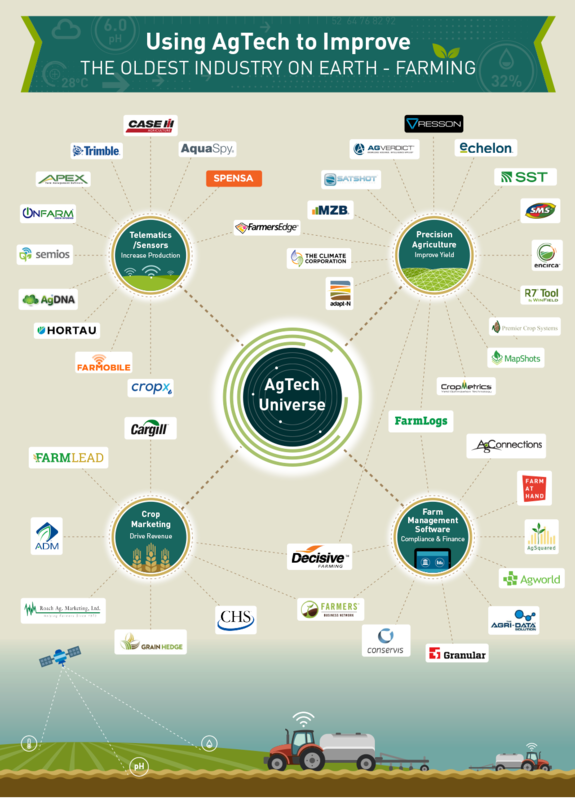 An investment firm wishes to display the key players in the agriculture technology industry in one sheet, in order to help investors to see the overall landscape. To clearly show how these rather chaotic companies and applications can be put into different sections. Using the metaphor of solar system to display the companies orbiting around their relevant sectors.